Don’t Trash Wareham will hold its Fifth Annual Townwide Cleanup over the weekend of April 27-28. Volunteers are asked to clean town roads/streets, playgrounds, parks, and beaches during the weekend. Last spring more than 400 volunteers came out to help us beautify our town. We are asking once again for citizens to help in our cleanup efforts. 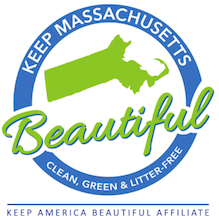 Don’t Trash Wareham was established five years ago by a small group of concerned citizens who recognize that litter has no place in our beautiful town! On year FIVE, we hope to have 500+ volunteers out during the weekend. Volunteers can choose the day and time that is most convenient for them. Cleaning is always more fun in a group, and many volunteers have formed teams (with creative names! ), and go out together during the cleanup in an area of their choice. We ask that you let us know if you plan to help us, and when and where you will be volunteering. Contact us through message on Facebook or by email at donttrashwareham@gmail.com.